Note: GitHub Services, the underlying app that allowed users to customize notifications for pushes to repositories will no longer be supported as of October 1, 2018. For more details, see the blog post. To continue this setup, we recommend exploring a self-hosted third-party service or open source solution. For information on updating GitHub Services to webhooks, see the Replacing GitHub Services guide. Email notifications you receive for pushes to a repository list new commits and link to a diff containing just those commits. Web notifications you receive for pushes to a repository also link to a diff containing the new commits. Click Add service, then type "Email." Type up to two email addresses, separated by whitespace, where you'd like notifications to be sent. If you'd like to send emails to more than two accounts, set one of the email addresses to a group email address. If you operate your own server, you can verify the integrity of emails via the Secret token. This token is sent with the email as the Approved header. 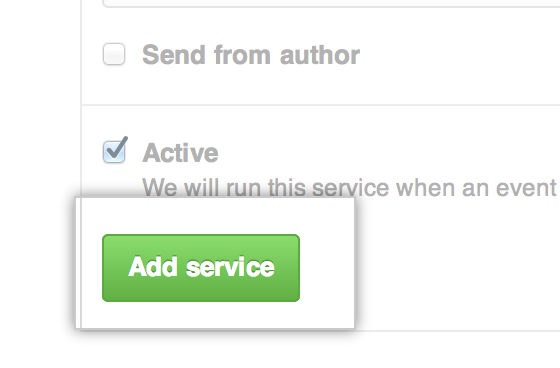 If the Approved header matches the token you sent, you can trust that the email is from GitHub Enterprise. Optionally, select Send from author to have emails delivered using the committer's email address. Otherwise, emails are sent from the no-reply email address configured by your site administrator. 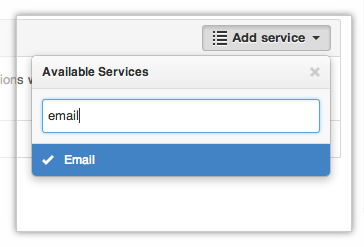 Under "Services", next to your added email service, click .